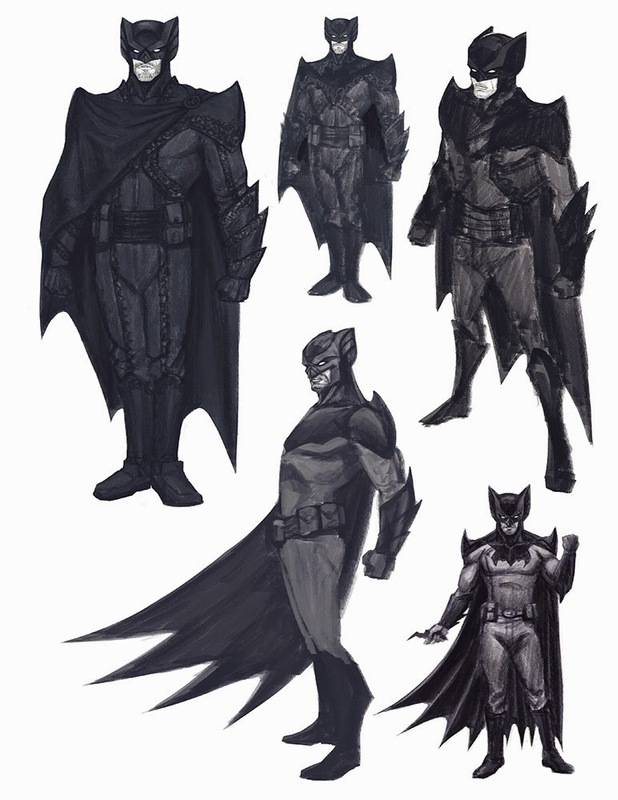 I have been a Batman fan ever since I was a kid. I got hooked with the movies and the animated series. I am not big on the comics though. The inspiration for this piece was that Bruce Wayne in spanish is Bruno Diaz. I don't know why cause all the other heroes have their names in english (Peter Parker, Clark Kent, etc) So I decided to go with that and set Batman in a hispanic setting. 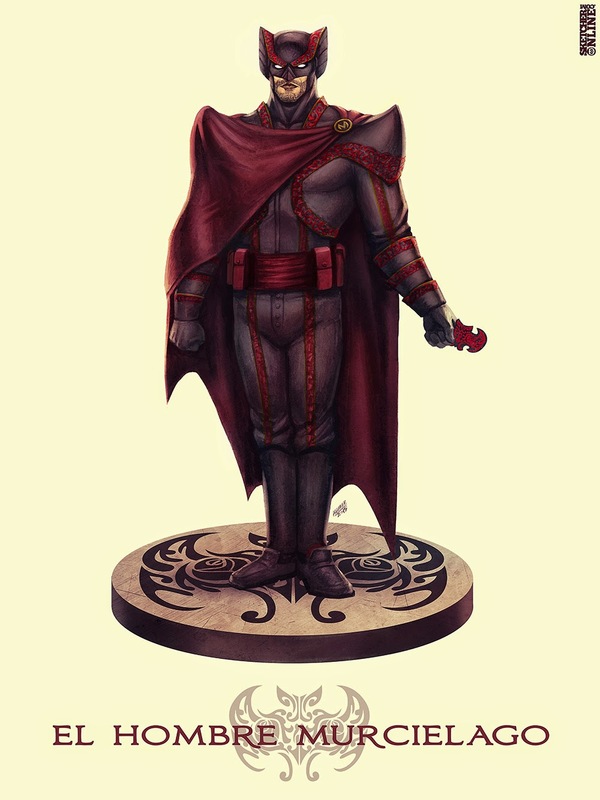 He is known as El Hombre Murciélago and he fights crime in Ciudad Gótica. I have included some exploration sketches. You can see my take on Bruno without the costume. I also did a sketch of his butler Alfredo. I had fun with this piece. 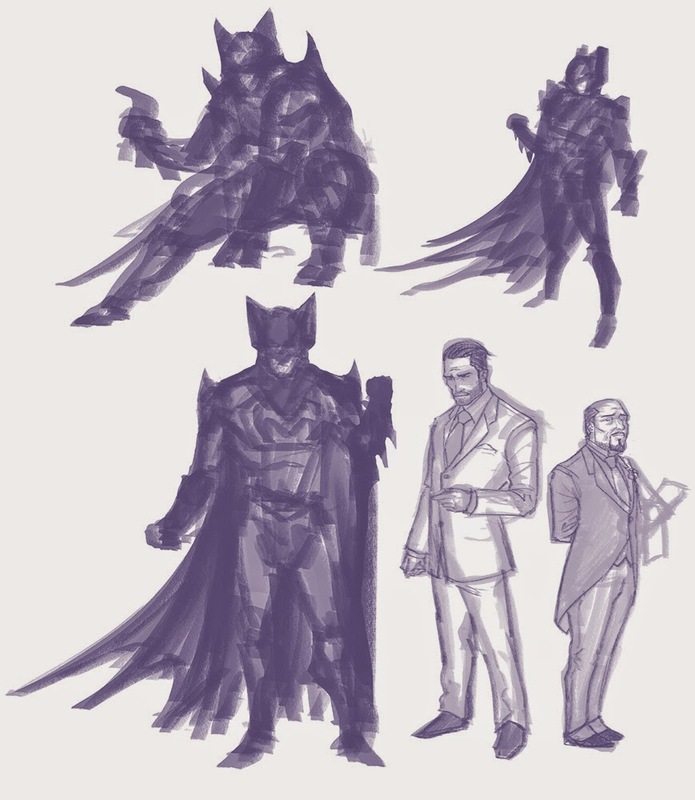 I started working on El Comodin (Joker) sketches but I am still working through my ideas. Hope you like it.